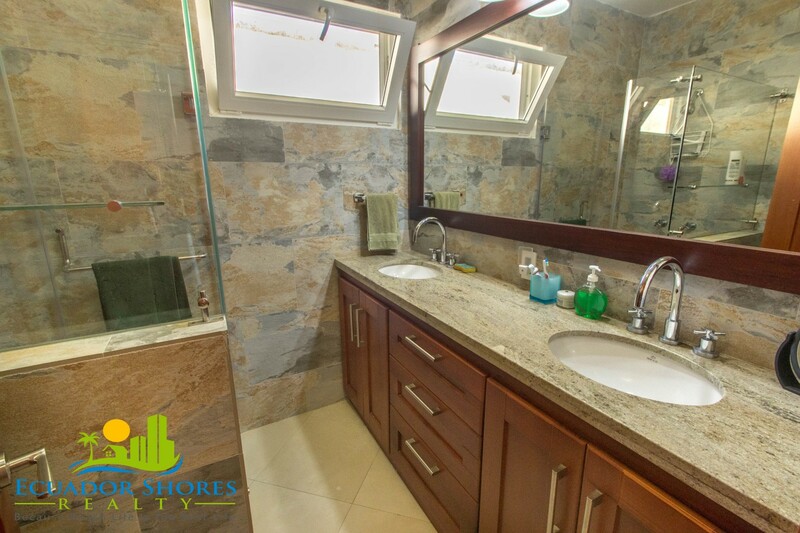 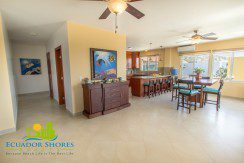 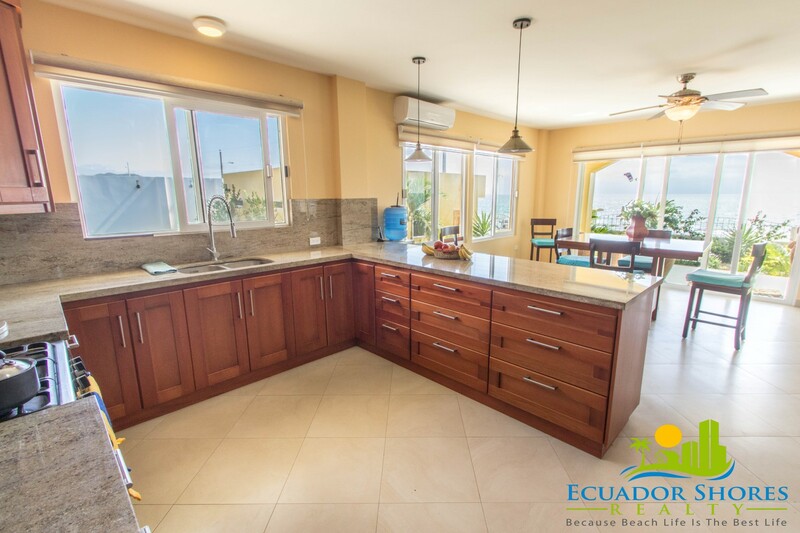 This one of a kind custom pool home is located right on the beachfront of beautiful Santa Marianita, and only 15min South of Manta! 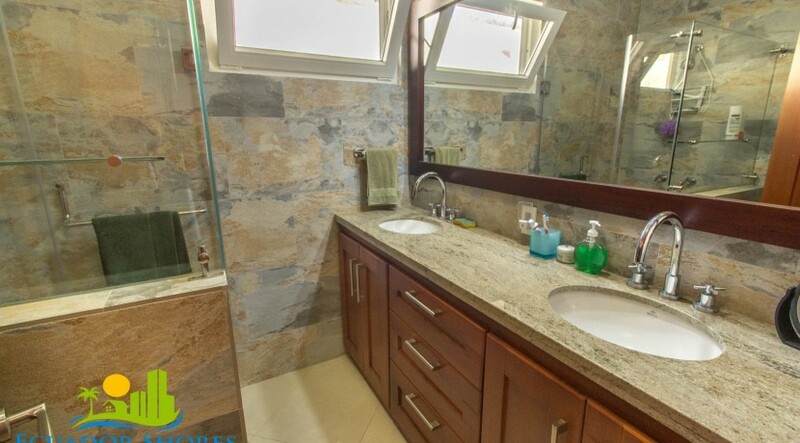 This home is unlike anything else currently available in this growing area! 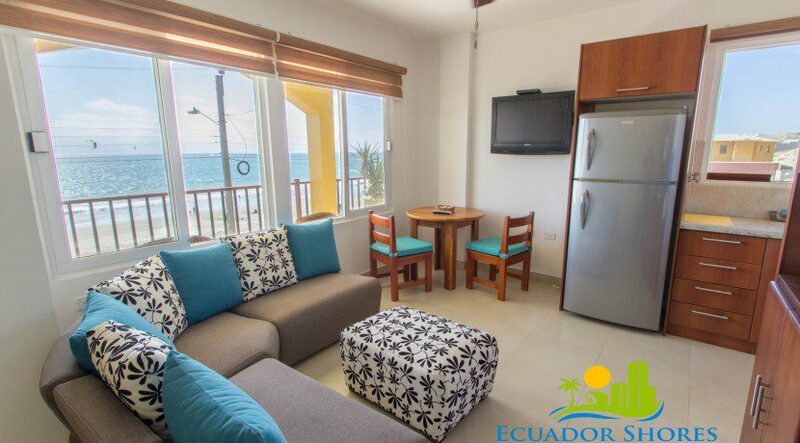 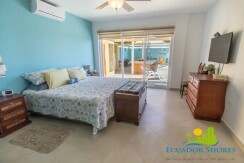 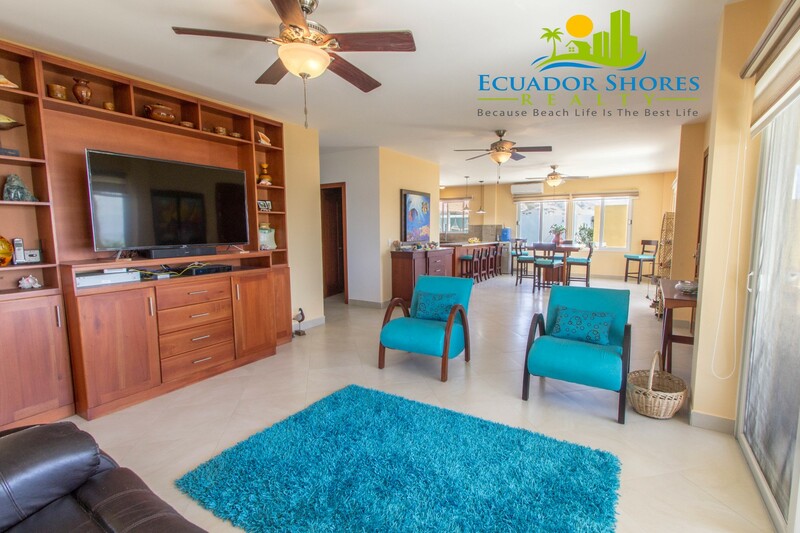 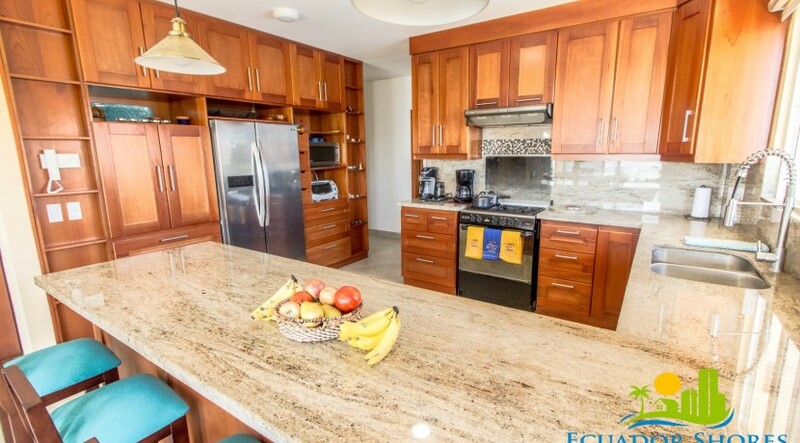 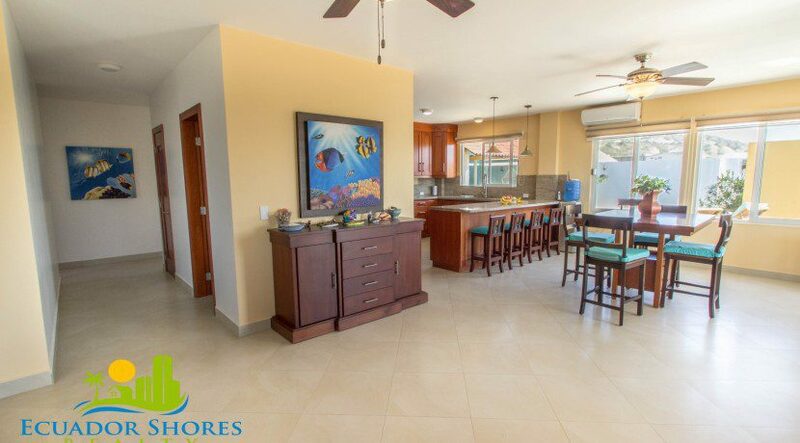 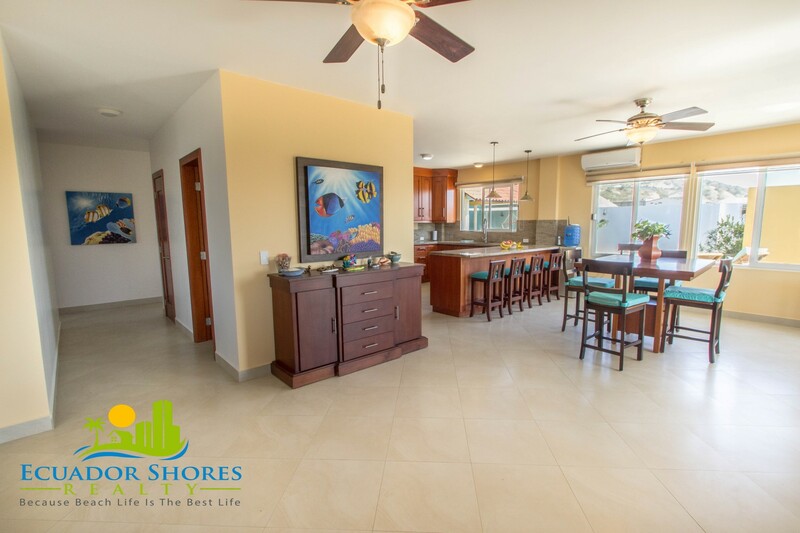 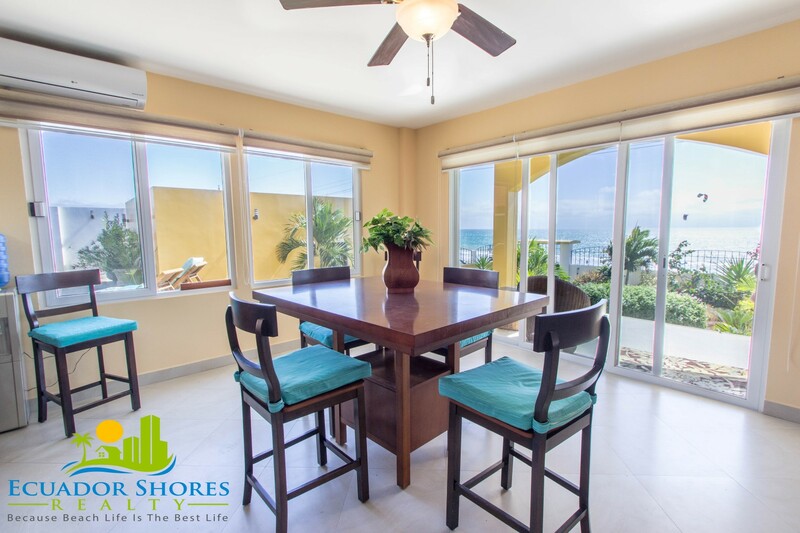 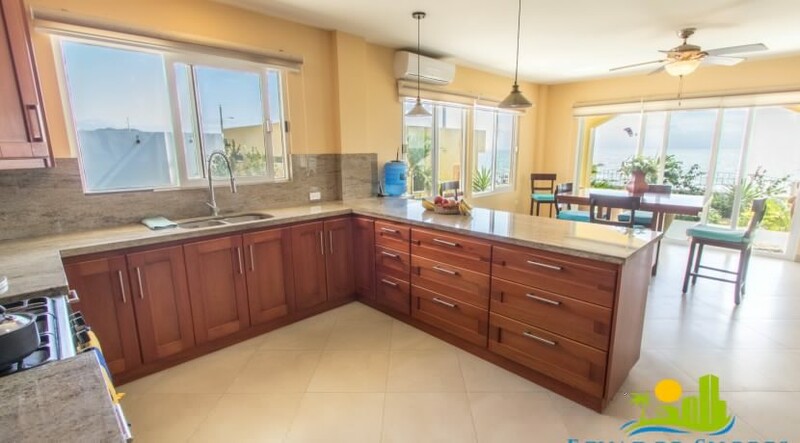 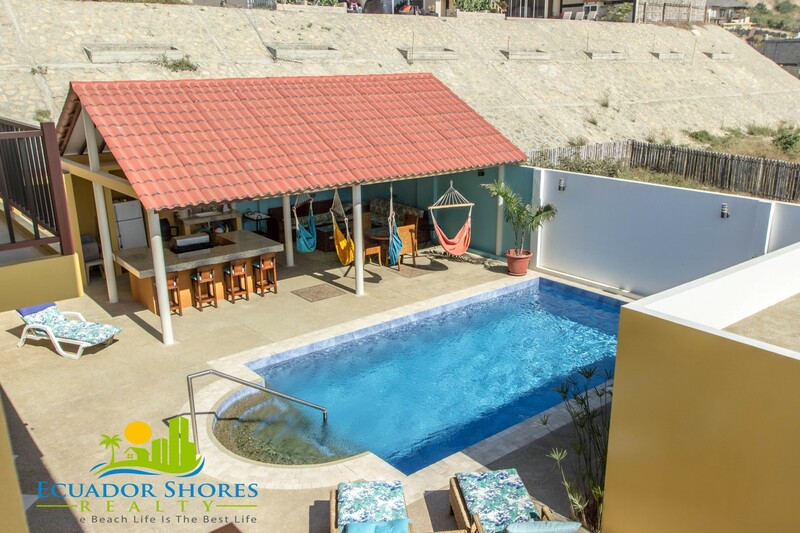 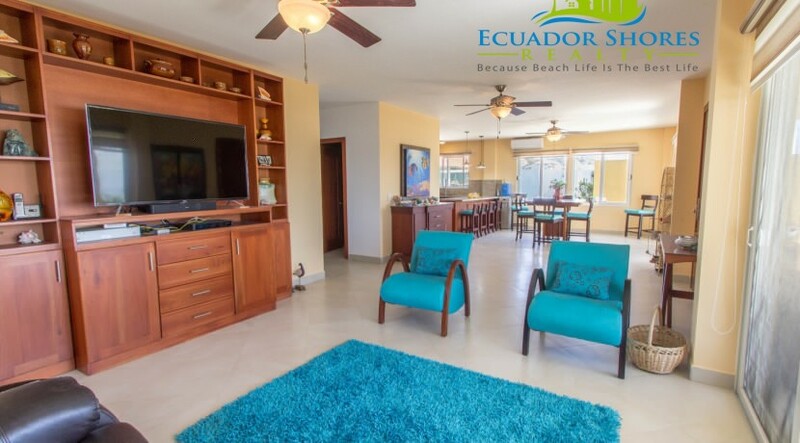 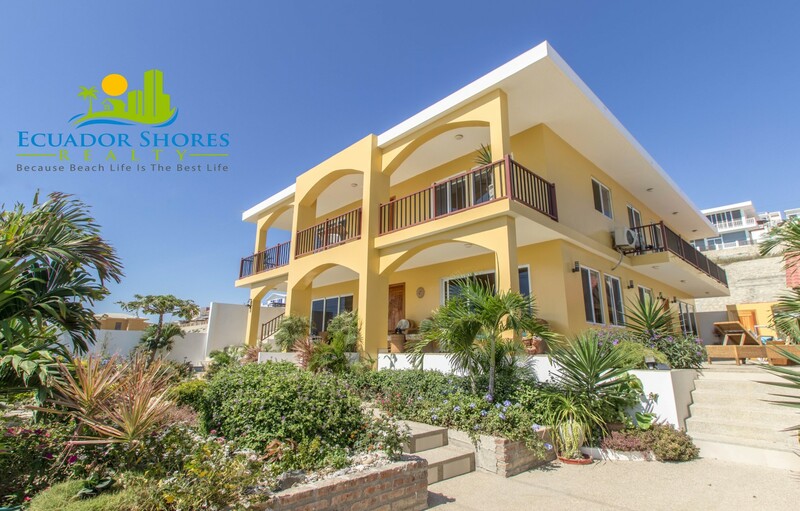 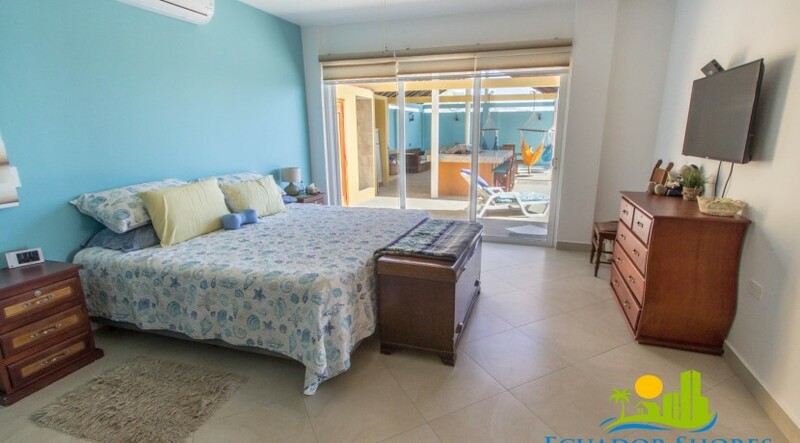 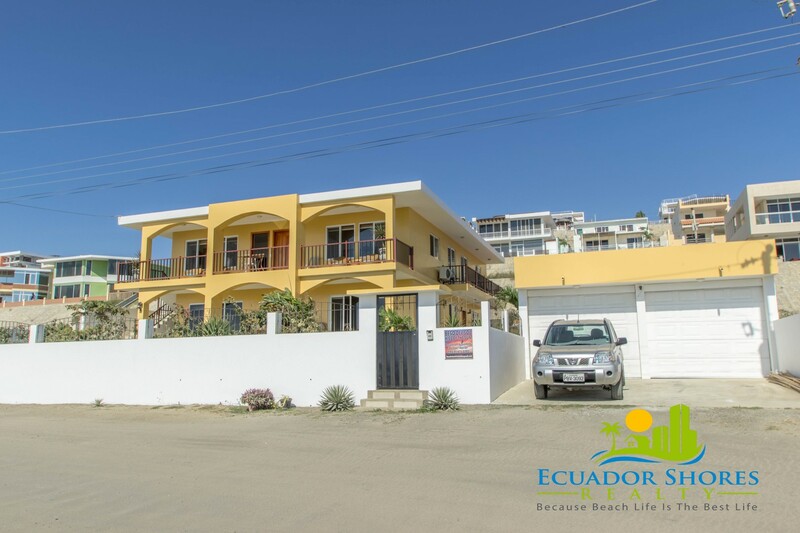 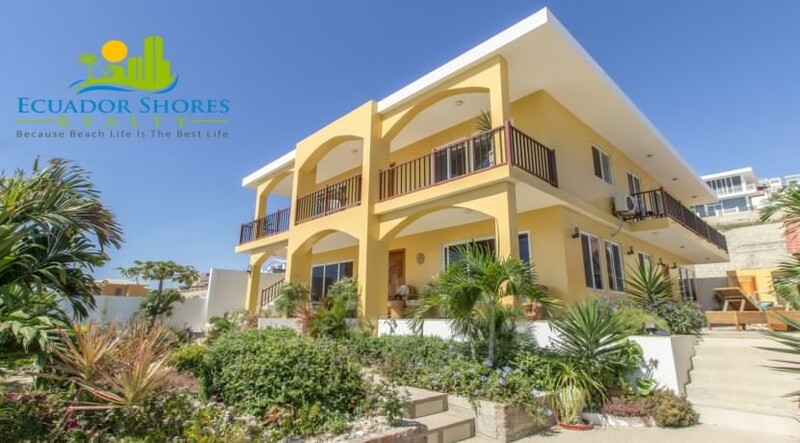 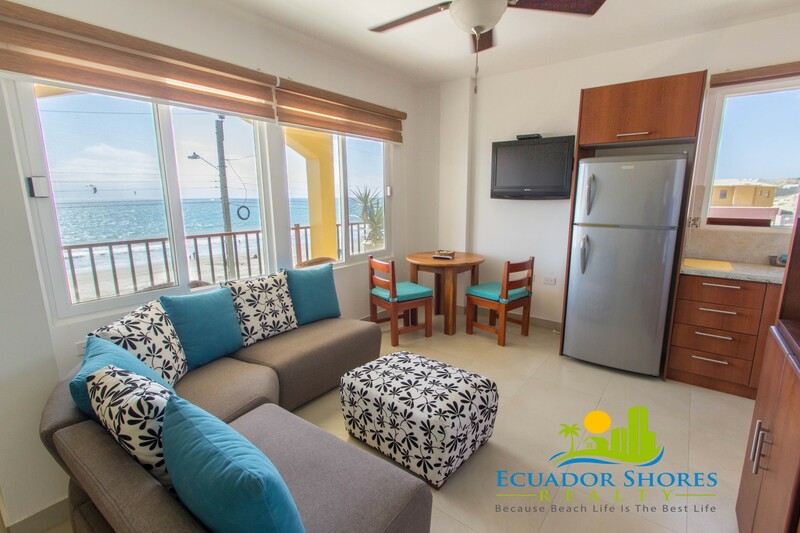 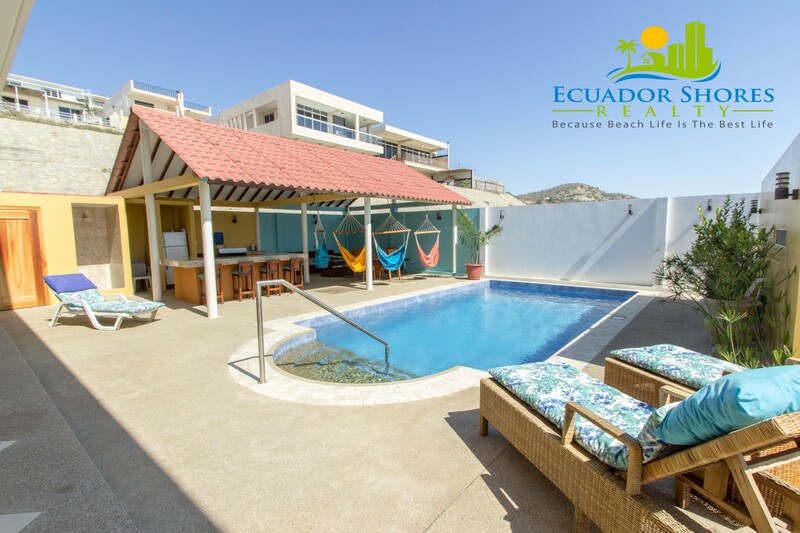 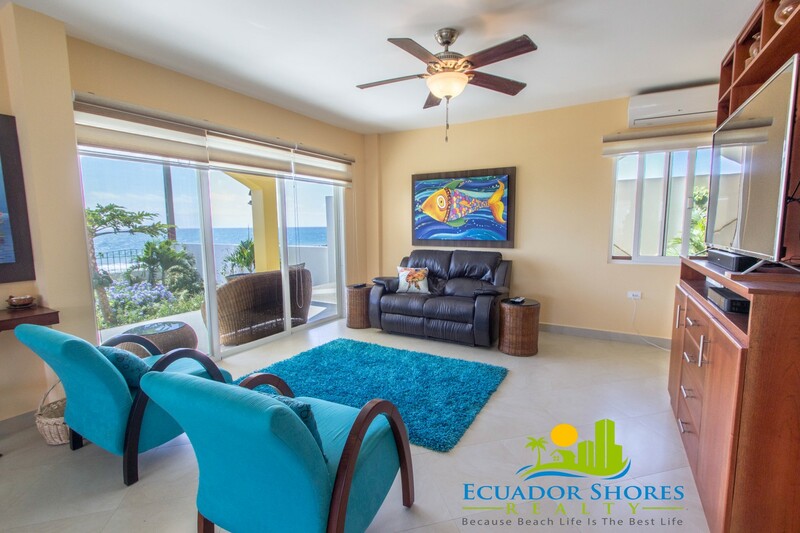 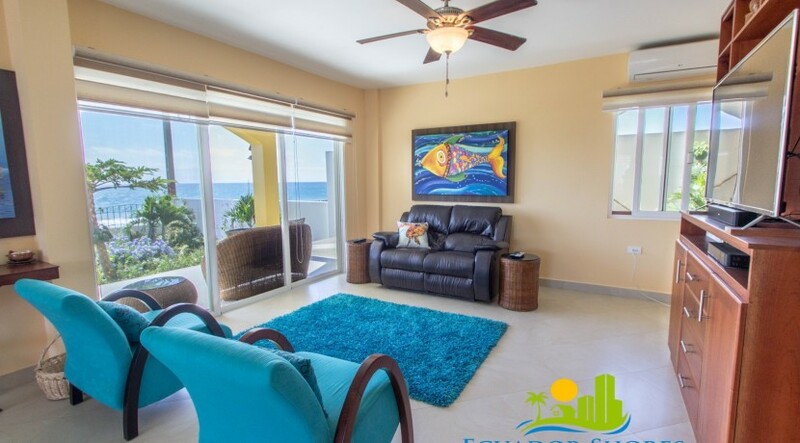 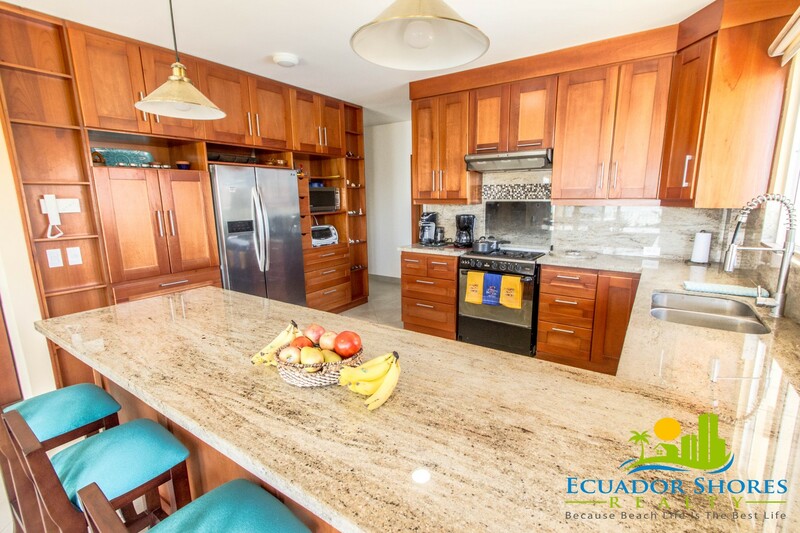 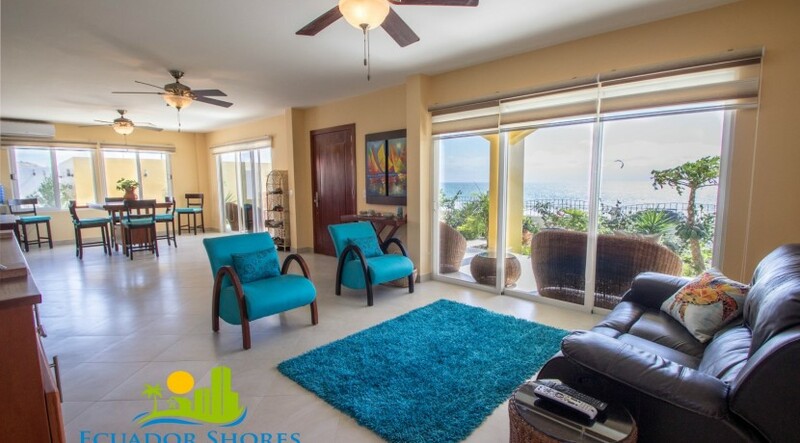 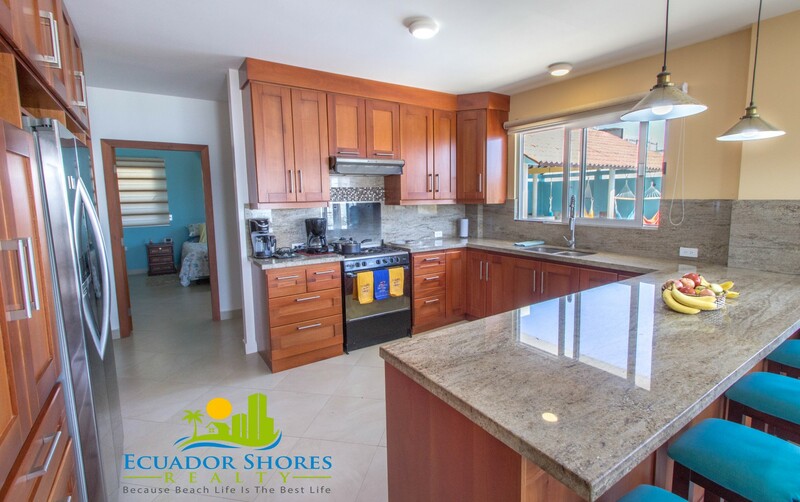 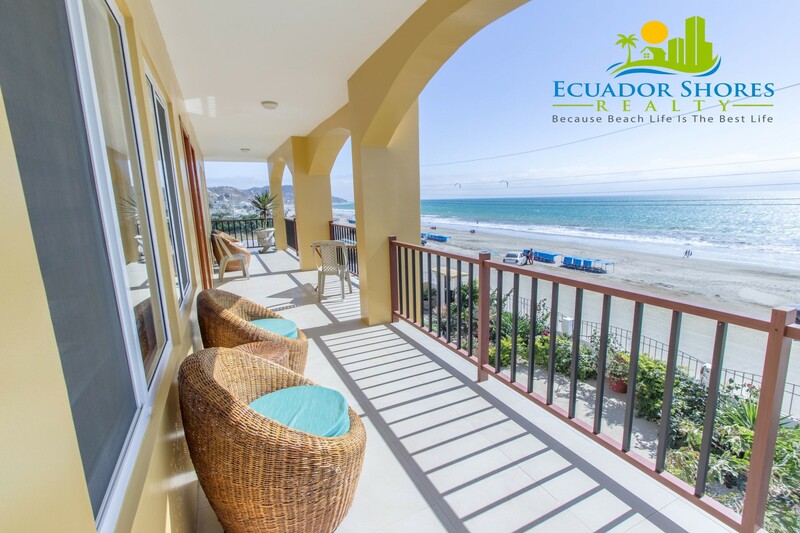 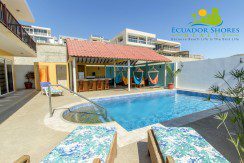 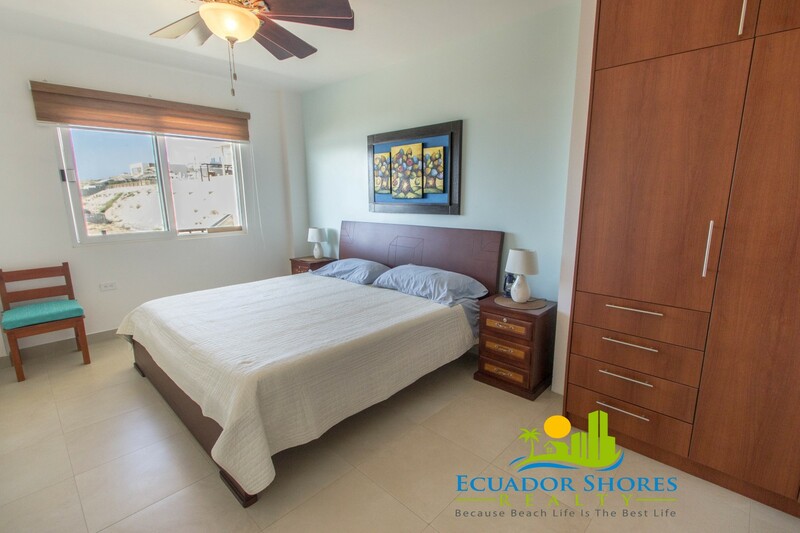 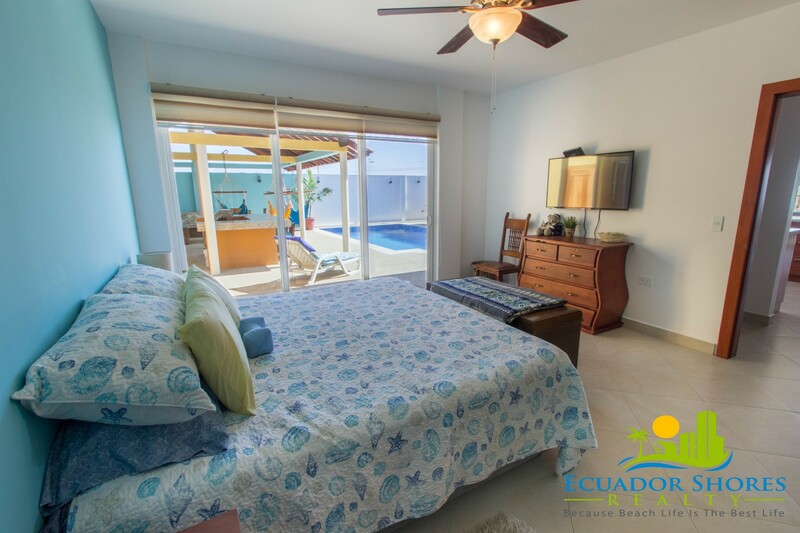 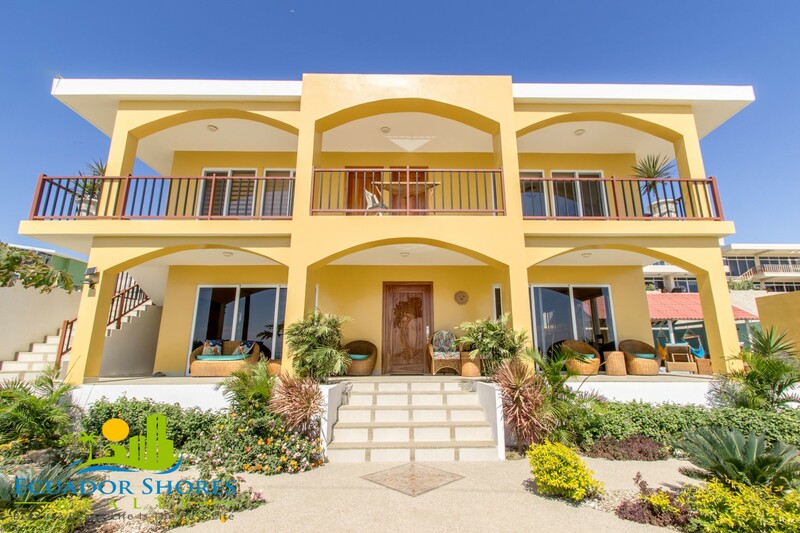 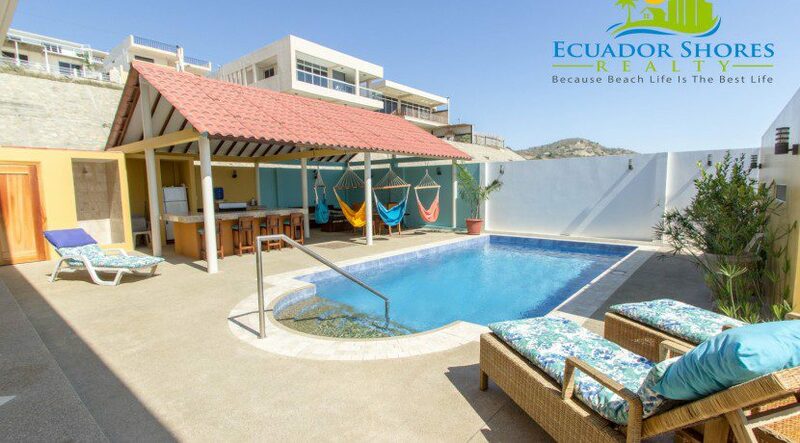 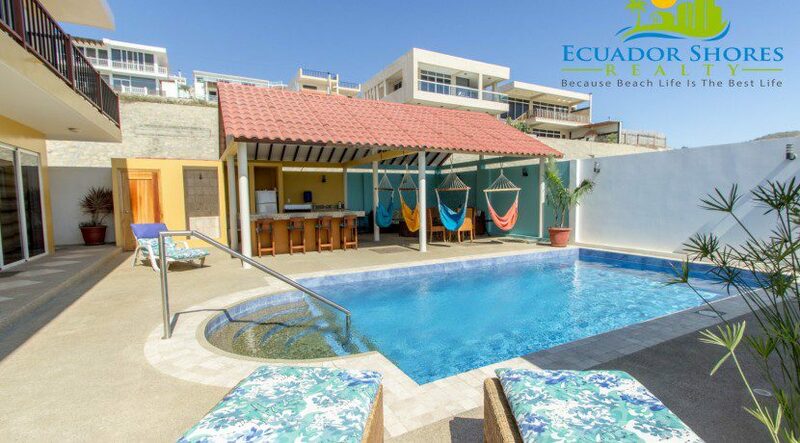 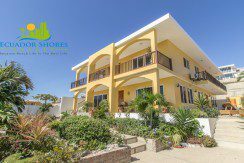 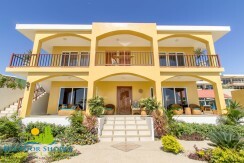 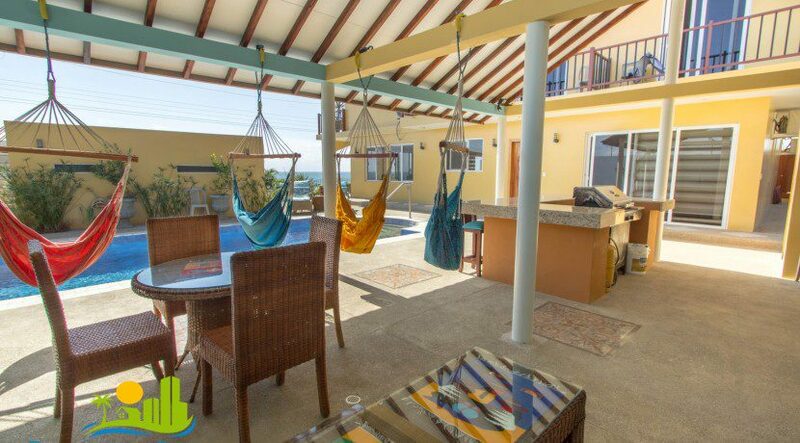 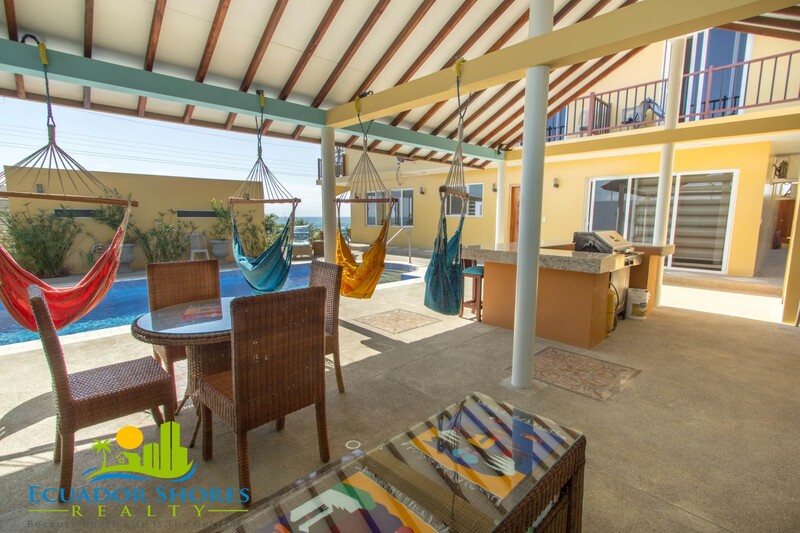 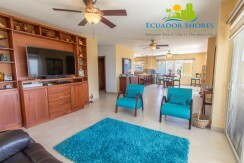 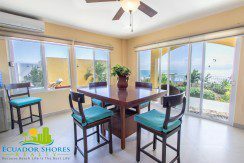 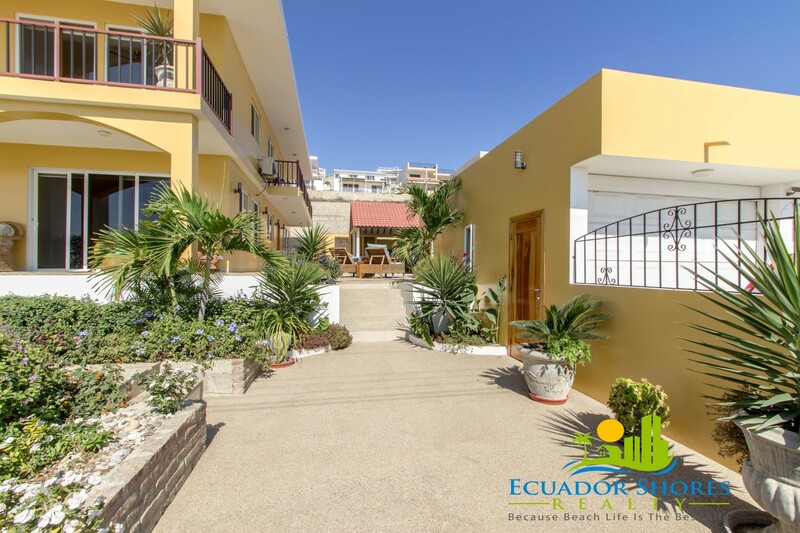 The home not only offers you gorgeous views, custom pool with BBQ, and tons of extras, it also includes 3 condo rental units so that you can easily make some additional money even while living the vacation lifestyle on the beach! 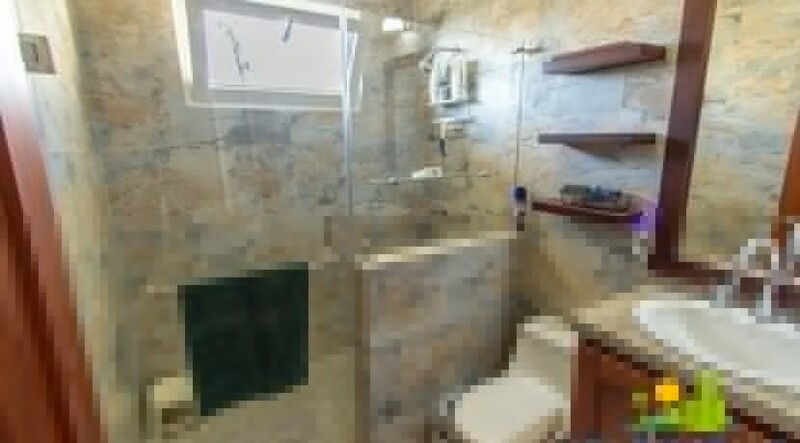 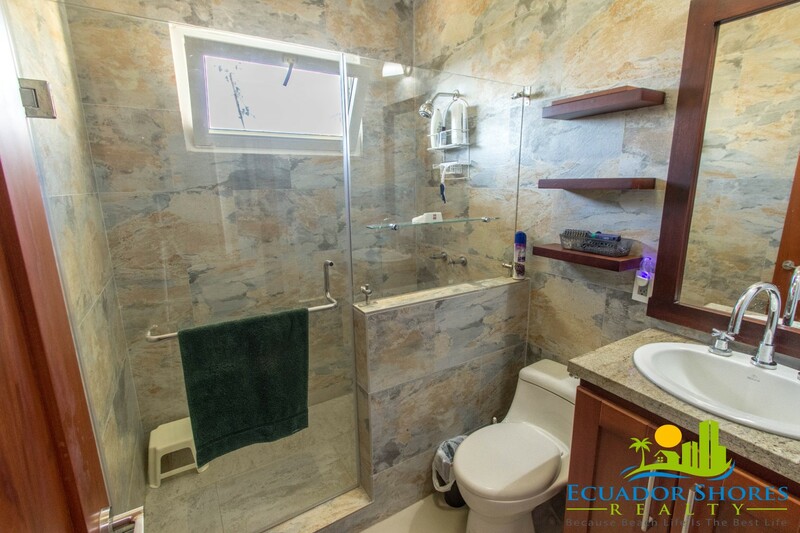 The main home is comprised of the lower level and offers you 3 bedrooms with 2 ½ baths. 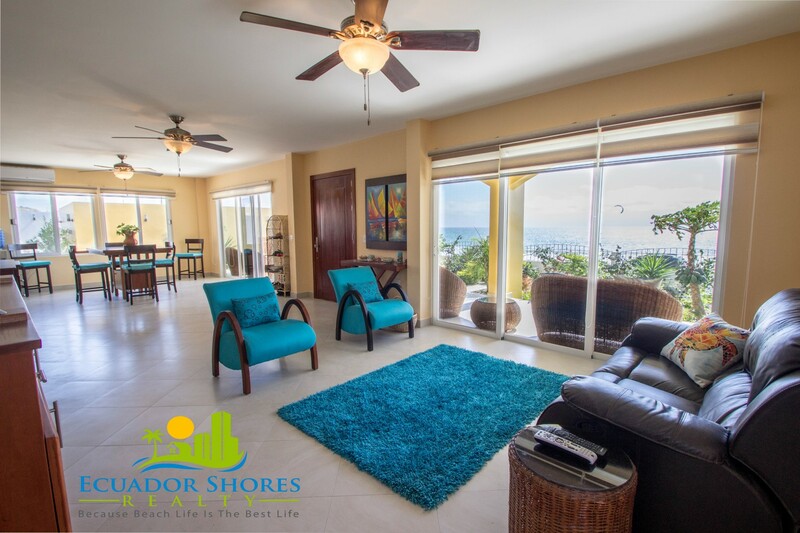 The main living area runs the width of the home so it is all open to the stunning views of the Pacific Ocean! The kitchen is fully appointed and with tons of custom wood cabinetry storage. 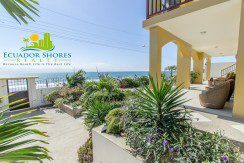 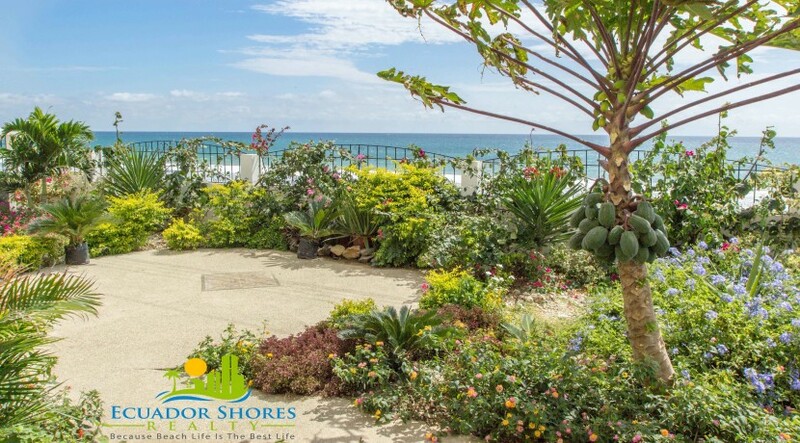 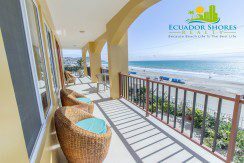 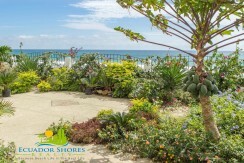 The front porch looks out over your own garden and onto the beach and the incredible sunsets! 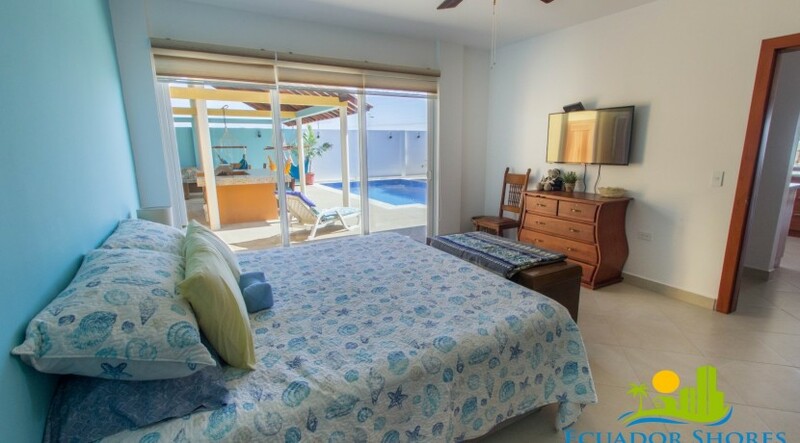 he main house is being offered partially furnished with the rest of the furnishings up for negotiation. 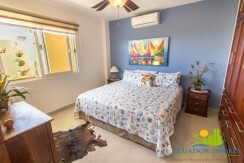 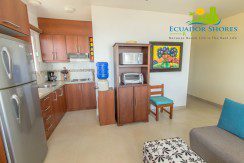 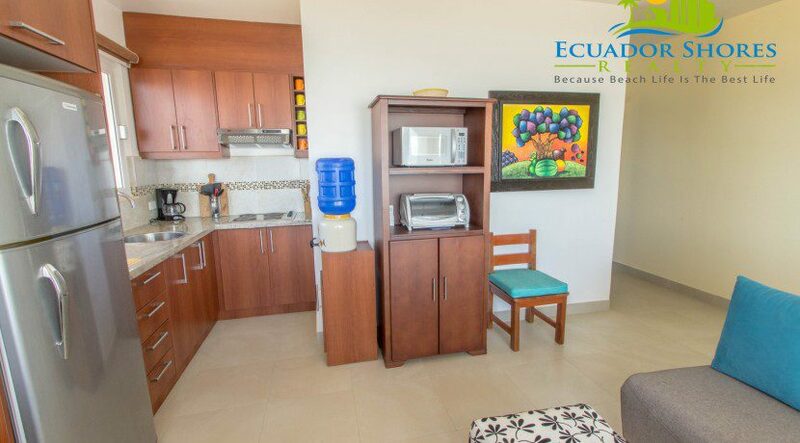 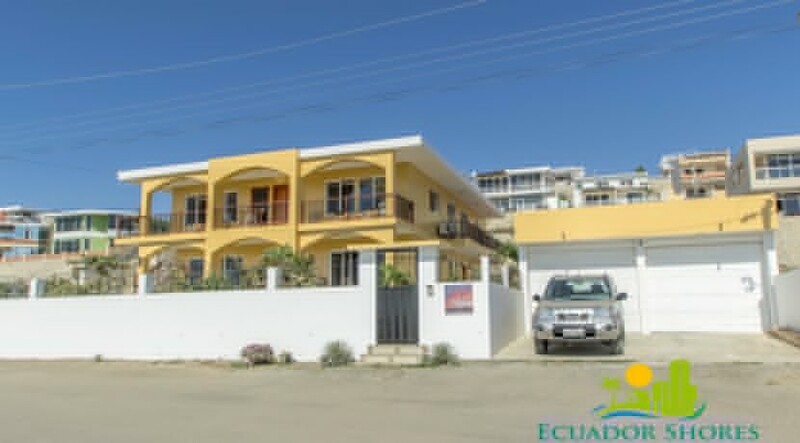 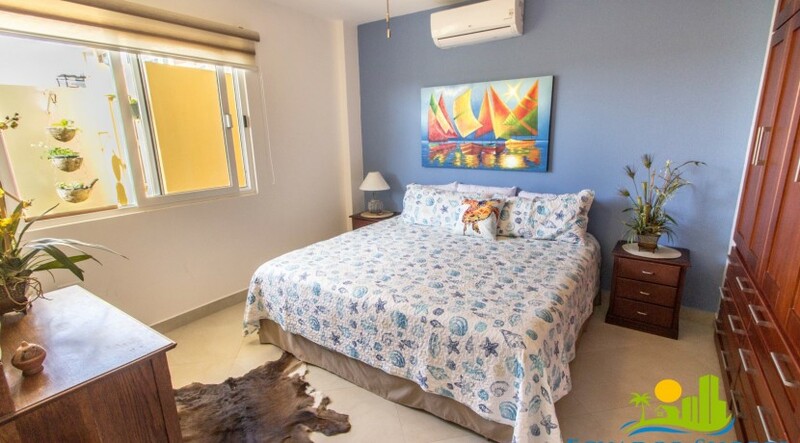 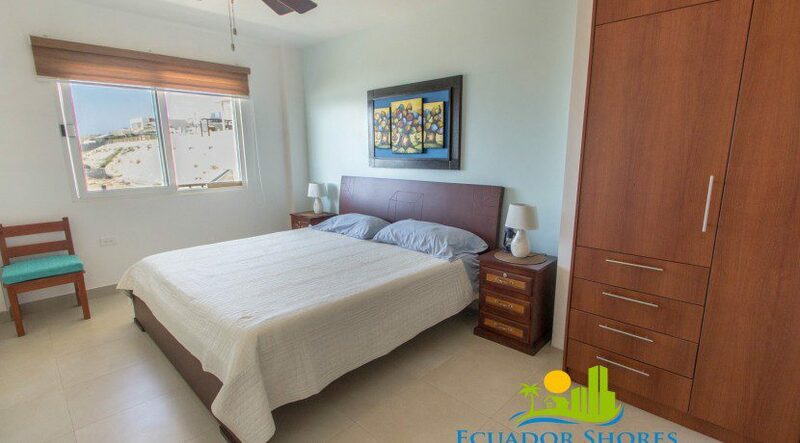 The 3 rental units upstairs are fully furnished and offer you two 2 bedroom units and one 1 bedroom unit and all three are fully furnished and ready to start earning you money! The are all located on the upper level and they each have their own private entrance. The crown jewel of the this beautiful home is the custom pool and BBQ area just waiting for you to enjoy! 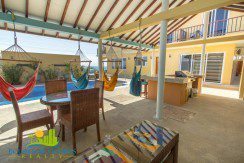 There is a covered area over the BBQ kitchen as well as a seating area complete with couches and hammock chairs to keep you relaxing in style! 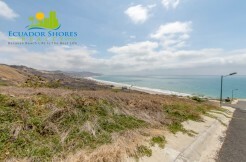 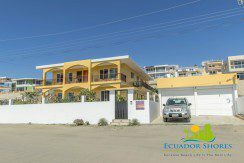 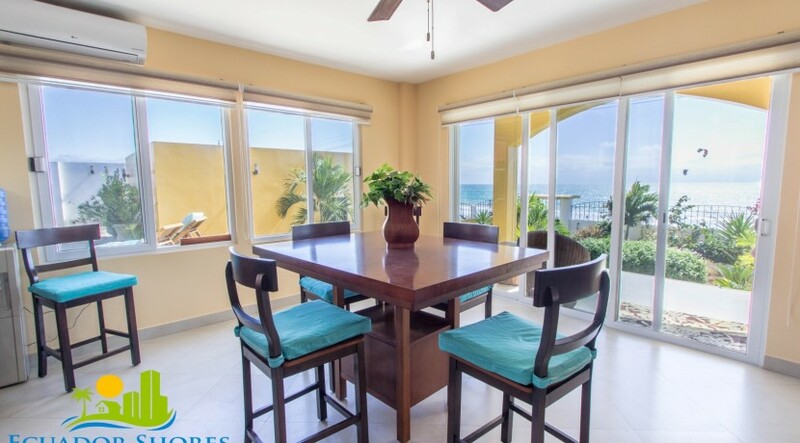 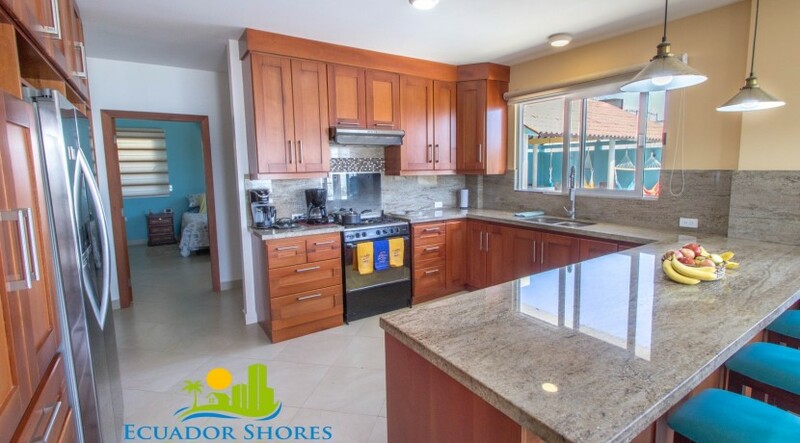 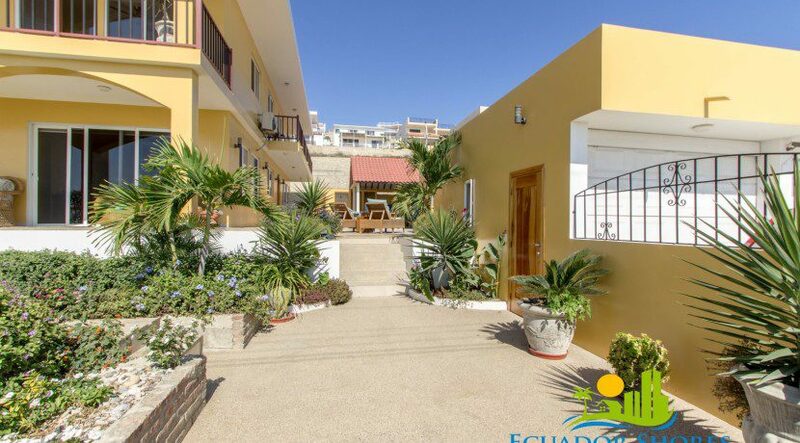 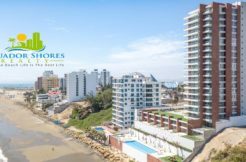 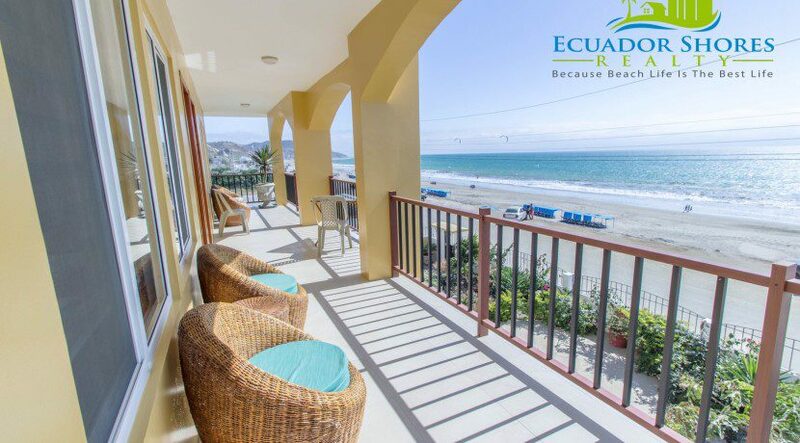 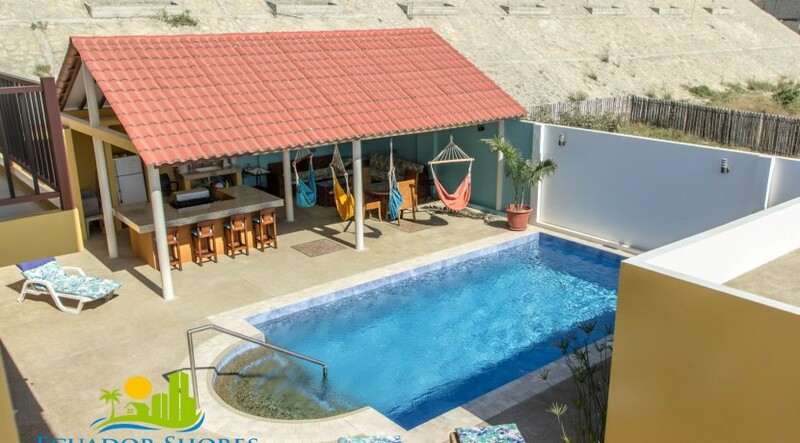 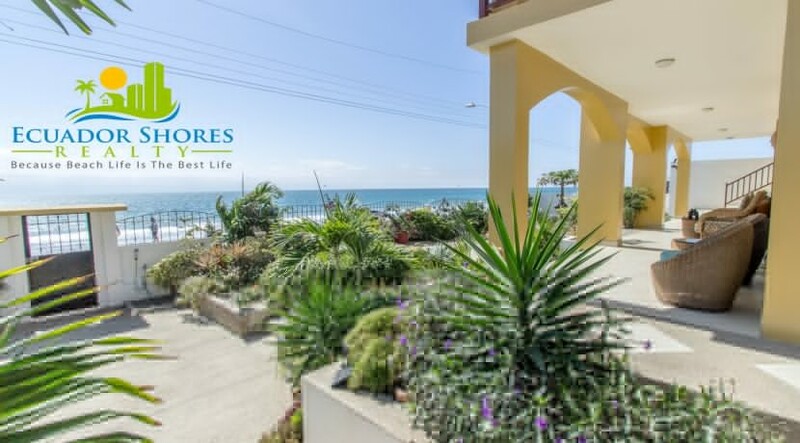 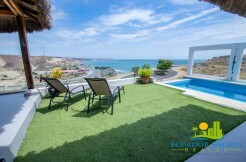 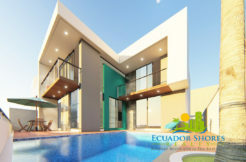 AS another rbonus yu even have an additional terrace above your two car garage perfect for watching the kite boarders and the whales as they migrate just offshore!! 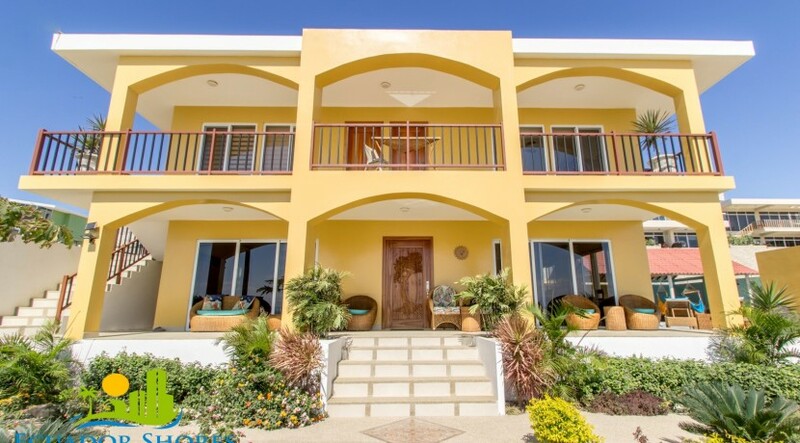 The asking price for everything is only $568,880 or best offer! 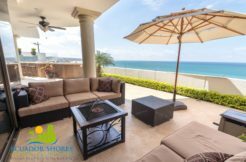 Being the only home of it’s kind in the area means that it can sell fast, so contact right away for your own private showing!